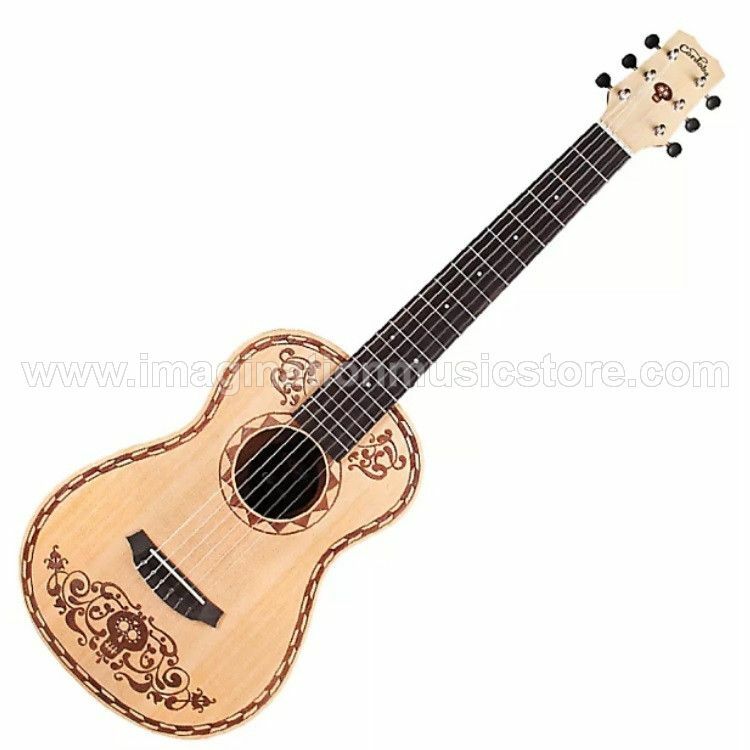 Embark on a musical adventure with the Coco x Cordoba Mini - Spruce acoustic guitar, a fun, travel-size nylon string guitar inspired by Coco, a film by Disney•Pixar. Perfectly sized for life's adventures with a 580 mm or 22.8 in. scale length, and with a durable satin finish, the Coco x Cordoba Mini retains the playability of a full-size guitar without losing its impressively loud voice. Built with a spruce top and mahogany back and sides in standard E tuning, the Coco Mini's tone is well-balanced and warm. The beautiful laser-etched design is inspired by the Mexican heritage featured throughout the film. It comes with a Cordoba gig bag and guitar strap.